If there was a category on this blog entitled, “If you never try, you’ll never know,” this post would be the perfect entry. 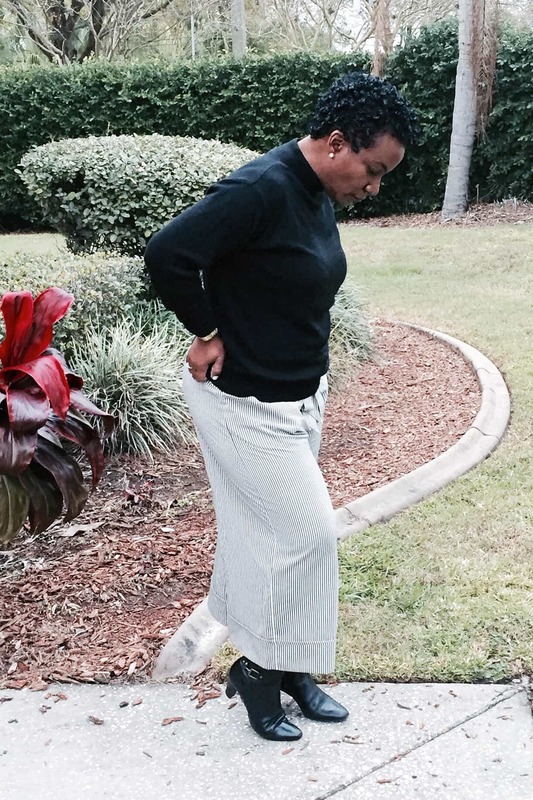 For the longest time, I avoided wearing wide leg pants. I’d tried them in the past and was less than impressed with the results. I thought they looked great on other (taller) people, but I didn’t quite “get” how to create a flattering silhouette for a curvy (slightly shorter) body type like mine. Then, one day, on a random jaunt to Nordstrom Rack, I discovered the secret to pulling off the look: I went up by one size. A quick Google search on the term “wide leg pants” will reveal a bevy of photos featuring leggy, model-thin women wearing the trend flawlessly. Since I’m wider through the hip and thigh area, I had to make certain accommodations to achieve the look I wanted. After pairing these comfy beauties with a turtleneck and boots, I have to admit that this time, I was pretty pleased with the result. What about you? What advice would you give for pulling off a trend with confidence? Tell me about it in the comments below. Those pants look good on you. I don’t have any, but if I ever get a pair I will know how to wear them! 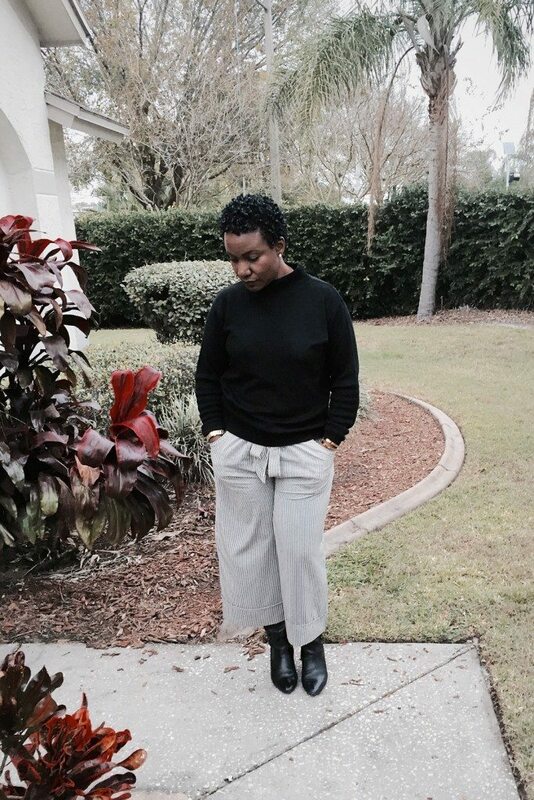 I always thought wide leg pants will make me look really short but hey you look absolutely good in those! Classy.. Cute pants but my skinny legs would be lost in them. I wear skinny jeans and they are too lose around the legs. Hmm, you might be surprised. Love this tip. I’ll have to use it. I don’t know how to pull these off, you’ve definitely done great. They look really nice on you! It did me. You should try it. You pull them off very well. I am not a wide legged kinda girl unless it is a jumpsuit but you look great. Do it. I bet they’ll look great! That pants really good on you. I love the color huh! I am now like to try that. 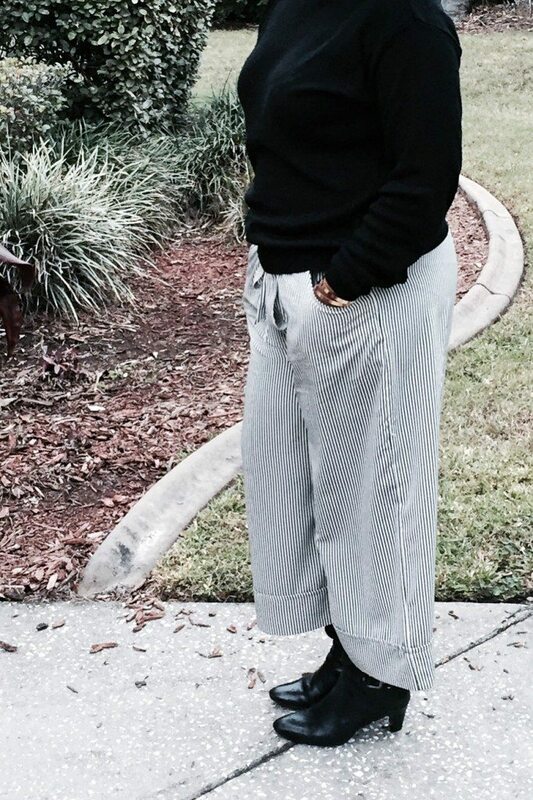 I love wide pants! You look so beautiful ! Those look great on you. I don’t have anything like them. I’m pretty bland. 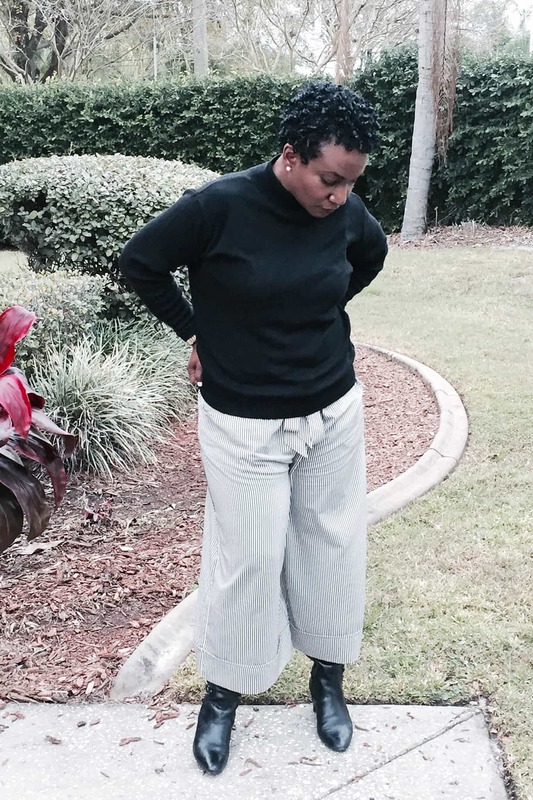 I am too short and stocky to wear wide leg pants. It would add insult to me. Ha! They look awesome on you…on me…no way. I am so short. But I love those stripes. Those pants looks cool on you. I like your boots as well. You can t go wrong with a wide-leg pantsuit in a statement color. Miroslava Duma knows not much is required by way of accessories when you rock this look with a contrasting white blouse.